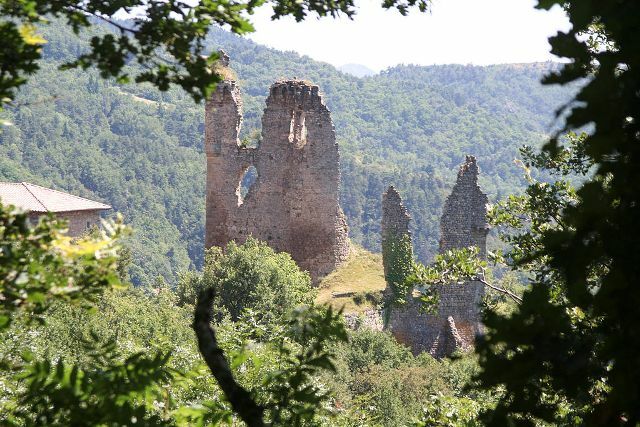 Location: Vernoux-en-Vivarais, in the Ardèche departement of France (Rhone-Alpes Region). Notes: The ruins of the Château de la Tourette is located in the municipality of Vernoux-en-Vivarais in the Ardèche department. The remains of the castle, including its square tower, were listed historic monument by order of 7 November 1996, together with a fortified house on the same property.